Springtime is one of the loveliest times of year to get married. Mother Nature is replacing the drabness of winter with masses of color. Traditionally associated with new beginnings, spring is the best time to get married. The flowers that you could choose now to reflect spring include roses, delphinium, and tulips and lilies. Tulips are everywhere in spring and come in a variety of colors including white, pink, red, yellow, and purple. A tulip wedding theme will add life to a grand event and make it synonymous to the very season of Spring. 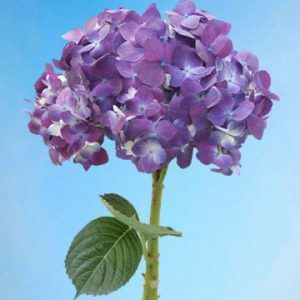 They make a wonderful, creative, bright and colored floral décor and can be used for stage or altar decorations, as centerpieces or in table decorations. 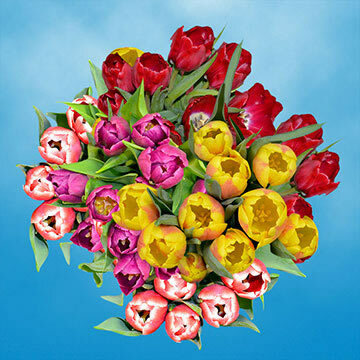 Globalrose’s Assorted Tulip Flowers are available in groups of 120 flowers in vibrant colors. Delphiniums are known for their superb original blue color and for their versatile, elegant, sophisticated and simple in the same time look. 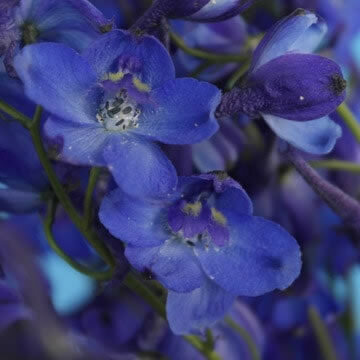 The Delphinium Volken Assorted 240 Flowers collection includes delphinium flowers with long stems that are topped with a raceme of many flowers. The flowers have five petal like sepals that grow together to form a hollow pocket with a spur at the end. This box contains 240 individual Stems of 22-24” long Delphinium Volken, enough for bouquets, and centerpieces. The lily is another exquisite flower that comes in a variety of colors, types and styles. 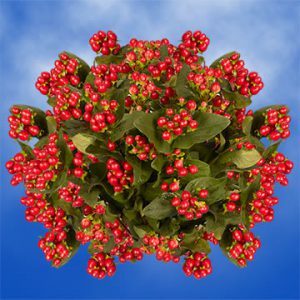 This highly versatile flower can be the star of any springtime wedding arrangement or simply sit in the background as el;egant filler. The lily is the epitome of spring with its fun and playful styling, but with an element of refinement you cannot find in another flower. 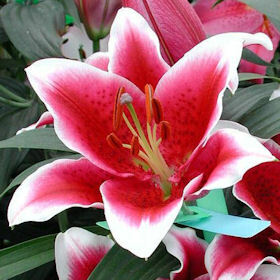 The Oriental Lilies Stargazer 20 Flowers have brilliant crimson colored flowers with pure white edges. Please be sure to carefully remover the pollen from the flower as they can stain. This box contains 20 individual stems ( 3 to 5 blooms) of 26 -28″ long stargazer oriental lilies. Please make sure to set your delivery date 4 days prior to the event to give the flowers enough time to open. When using a stargazer lily in a centerpiece, it is usually best to use two to three and fill the remaining space with smaller flowers such as white or pink roses and soft white calla lilies. 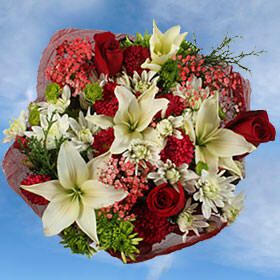 Fill space between the flowers with greenery like calla lily leaves, baby’s breath and ferns. Select your filler flowers to accent the same colors the stargazer lily but are not larger or take away from the sight of the centerpiece flower. Of course there is always the beautiful rose. Alone, or mixed with lilies, they make stunning pew flowers or alter displays. 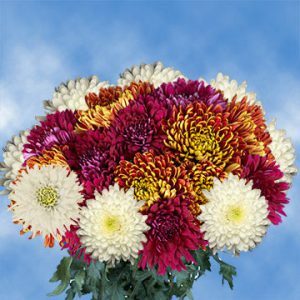 The Fresh Breeze collection includes 29 flowers in a combination of white roses, bells of Ireland, green ruscus, white Asiatic lilies, cream colored mums and green carnations and pompoms. It includes a vase if you want to use them on the tables as well. Remember, the perfect wedding begins with the perfect flower. 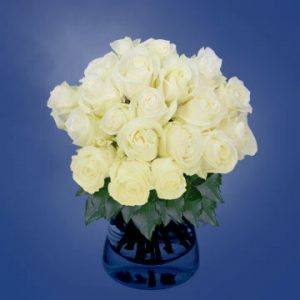 So when deciding on which flowers and roses to convey your feelings, make GlobalRose.com your number one florist! All our flower deliveries come with a double guarantee: absolutely fresh flowers at the very best prices! Just compare and you will see the difference. If you’re you seeking a local florist or an online flower shop we deliver everywhere in the United States and Canada and offer free shipping to those within the continental United States. Congratulations! Now it’s Time to Start Planning! Congratulations! Your Valentine’s Day wishes have come true and you’re engaged. What’s the next step? Find a wedding planner to make those dreams a reality. Working closely with someone to ensure that you do not forget any of the important details, and to help ease the stress of planning a monumental event like a wedding is no longer simply a luxury for couples with limitless budgets. Whether you decide to work with a Full Service Planner, or a Day-of-Event planner, you will find that having someone orchestrating the day and taking care of the details will leave you to enjoy your big day! One of the bigger aspects of a wedding that would benefit from help is the floral arrangements. Flowers play an important part of a wedding and they are an essential role in the décor. By adding a touch of beauty they can transform any setting into a magical place. 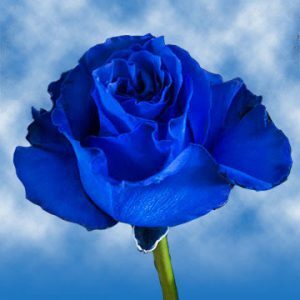 A wholesale flower merchant like Globalrose.com, with its wide range of available fresh flowers, including: roses, lilies, dahlias, gladiola, amaryllis, tulips, daisies, will make your work significantly easier. Your wedding flowers need to be absolutely fresh and of the best quality and at Globalrose.com, that is exactly what you will receive. Globalrose has a selection that is second to none for this very important occasion. Not only will the wedding flowers play an integral part of the décor, they will add to the celebration by providing beauty, emotional strength and most of all joy. Wherever you decide to say your vows, aisle decor is important and is sometimes overlooked in the excitement of the rest of the planning. Is aisle decor really necessary you may ask? Aisle decor is a beautiful addition to your wedding and will dress up what might be an otherwise austere chapel or sanctuary. The purpose of beautiful aisle decor is not to detract from the bride, but to draw the eye to the front of the venue where it all takes place. Honestly, you didn’t spend all that time and money on that gorgeous dress for no one to look at it, did you? Aisle decor can be something you attach to the end of the pews if you’re in a church, or to the last chair at the end of each row if you are elsewhere. Inexpensive pew clips can be purchased to slip over chair backs or pews without causing damage to the surface or marring it with sticky tape. The clips can then be used to hold everything from swags of tulle to bouquets of flowers like those you can create from the beautiful flowers at Globalrose like the Mini Calla Lilies Assorted Colors collection. Mini Calla Lilies are energetic and attention-grabbing blooms that will make a statement in their simplicity. 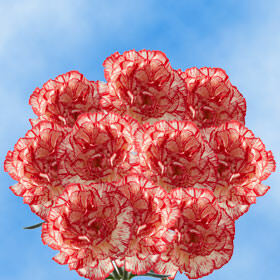 Dramatic and playful, they are perfectly sized for aisle flower bouquets. 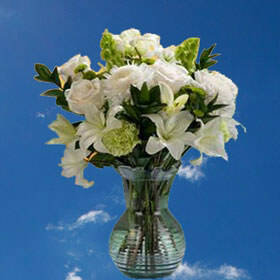 Available in different colors, the box contains 240 stems that are 16″ to 18″ long. Combine them with ribbons and Gypsophila Baby’s Breath and your aisle will lead their eye straight to you. Always a Day to Remember! So you’ve got it all! Candy, cards, an exaggeratedly large stuffed animals, and even a beautiful and thoughtful poem you’ve written yourself and yet still there’s something missing… That’s where we come in! February 14th is just a week away and whether you’re in the United States celebrating Valentine’s Day or in Mexico celebrating Dia del Amor y la Amistad, we have just a bit of advice to give you… Make it a day you and your loved ones will always remember! And while we’re on the subject of remembering… Valentine’s Day is not only a celebration of romantic love! Try reaching out to someone who wouldn’t expect it this year. Take the opportunity to contact someone that you haven’t spoken to in a while; maybe a friend, or a distant relative. You simply never know who might love being remembered this Valentine’s Day. Save your money and avoid the poetry if possible, because a lot of times we find that flowers express words and convey emotions or feelings, much better than candy, toys, or written words ever could. Flowers don’t beat around the bush and they don’t mince words! Giving someone a stunning floral gift is a great way to strengthen existing bonds and nurture new ones. Valentine’s Day can be a wonderful holiday, but finding the perfect gift can prove to be difficult if not otherwise costly and time consuming. GlobalRose want you to stay #AbsolutelyFresh through life’s most important moments and it’s why we try to make the process of finding the right gift as easy and as smooth as possible. 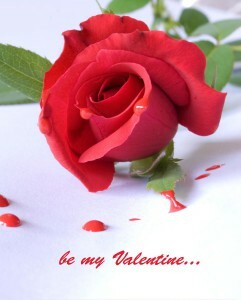 From everyone here at the GlobalRose Blog we’d love to wish you all a safe and happy Valentine’s Day! We hope your special day is filled with nothing but joy and love! Don’t forget to reach out to someone special this year, you never know who could use the boost, and to remember to always stay #AbsolutelyFresh! Cupid’s magical arrows worked, and you’re in love. You may have a happy, healthy relationship year round, but there are still plenty of ways (and reasons) to celebrate the one day of the year designated to honor coupledom. And there could be ramifications if you don’t; both men and women still look forward to (and expect) the small and large gestures on Valentine’s Day that demonstrate they are loved and valued by their partner. Maybe you just finished sending holiday sentiments a couple of months earlier, but February 14 is an enormously popular day for exchanging cards. Valentine’s Day cards are second only to Christmas when it comes to giving cards, including those given to a romantic partner and those exchanged between elementary-school classmates. In fact, statistically speaking, the majority of us will give a Valentine’s Day card to someone. Book early for Valentine’s Day if your beloved has an affinity for the menu or ambiance at a particular restaurant. It’s likely to be crowded. About 44 percent of us will spend the evening dining with a date. The majority of males seem to prefer dinner out for their Valentine’s Day treat. Don’t forget the candy! A 15th-century Aztec emperor believed that consuming chocolate made him friskier so he could better please his harem. It’s not clear if that’s the reason for our love of bonbons on Valentine’s Day, but heart-shaped boxes of chocolate fly off the shelves this time of year. There’s also the option of the “Be Mine” candy hearts. Today you can find boxes of candy hearts with all kinds of messages to give your partner, as well as those that are more appropriate for friends. 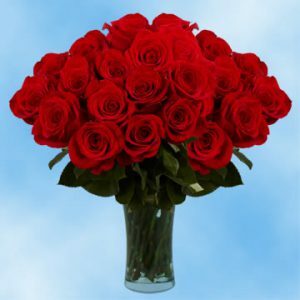 Many women expect to receive flowers from their man on this day and, most commonly, they get red roses by the dozens. But there are other choices, depending on what he wants to say. Flowers and the color of flowers have different meanings, so guys who want to get creative can personalize their delivery. Peach roses or purple lilac, for example, might be a better choice for a newish couple who haven’t quite committed to forever. You can mix and match, too: Consider a combination of red and white roses to the long-term love of your life. If chocolate, flowers and an elegant meal aren’t quite enough, and you’re ready to say “I do,” Valentine’s Day is a common day for couples to get engaged. It’s also a big day for weddings (which might give wedding guests a good excuse for not planning their own evening out.) 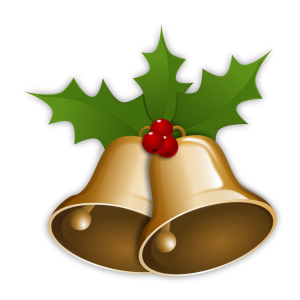 More than $2 billion is spent annually on jewelry for this holiday. However big or small you plan to go on Valentine’s Day, do plan something. A majority (but just a slight majority) of women say they would consider ending a relationship if their man didn’t do something to mark the occasion. That’s bad news for the 64 percent of guys who neglect to plan ahead for the day. Valentine’s Day gestures, from the simple to the extravagant, simply show that a couple appreciates one another and likes to take time to acknowledge it. If there’s one holiday when a lady loves to receive the gift of fresh, beautiful flowers, it’s Valentine’s Day. 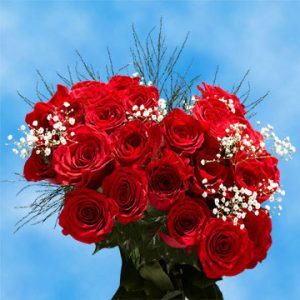 Just the thought of romance evokes an image of elegant, long-stemmed red roses, standing regal and tall in a graceful vase. This lets a lady know she is loved and admired. While red roses are a popular choice for a Valentine’s Day bouquet, the truth of the matter is, ladies love many a species of flowers! Be bold! Visit our selection of mixed flower arrangements. Our gorgeous Valentine’s Bouquets like True Love, Sentimental Joy, and Supreme Happiness arrangements from GlobalRose arrive at your door artfully arranged in a vase. Choose from a monochromatic look — with pink, purple or red as the primary bouquet color – or choose a bouquet of various hues that will bring instant joy to the recipient. If you wish to surprise someone with long stemmed flowers we have an impressive selection available in a variety of species such as long stemmed Roses, Carnations, and Stargazer Lilies. Speaking of roses, if it’s roses you really want, GlobalRose offers a breathtaking variety of Roses to choose from, including an eclectic array of brilliant colors and hues. Looking for a way to raise much needed funds for your organization? 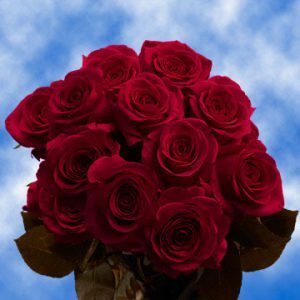 Sell single, long-stem roses! 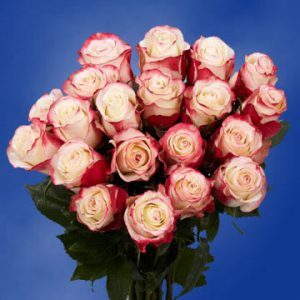 Purchasing long stemmed roses in either the same color or varying colors, is a delightful and fun way to do just that. Valentine’s Day isn’t just for lovers either! The holidays are a great time for you to show your acknowledge and show your appreciation to the important people in your life. 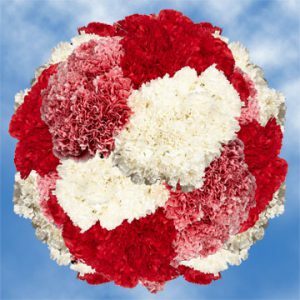 Be it friends and family, neighbors or teachers, you’re sure to find exactly what you’re looking for on our Valentine’s Day Flowers page. Flowers are a perfectly lovely way to express your love, thanks and appreciation and at GlobalRose, providing you with the freshest and best quality of flowers is our passion! We lovingly grow and maintain our flowers until the day they become yours! 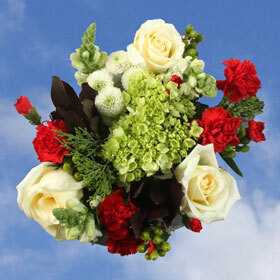 Let GlobalRose be your number one online flower shop this Valentine’s Day! New Flowers for a New Year! 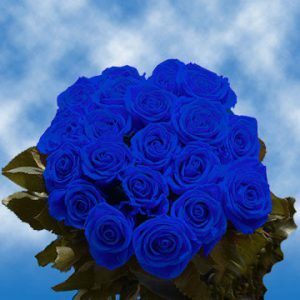 Blue Roses represent hope for the New Year. 2019 is coming fast and that feeling of freshness, the spontaneity that permeates through the air has returned and in truth, even when we inevitably cross “Go” once again the following year, it never really has to leave. After all, that is a matter of one’s attitude over anything else. Commence the year with something that marks a new beginning, uninhibited perspective, and an openness towards the better. 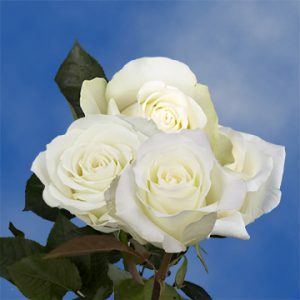 White Roses symbolize a pure new beginning. It may seem like a lot, but start with the small changes you wish to make for yourself. Even just subtly changing your surroundings by adding fresh flowers into the mix can have a grand effect and eventually these changes will ultimately lead to the big ones, for there is no large without small. Every bit of effort makes a difference and flowers just might be the healthy bit of “medicine” or if you prefer, “rocket fuel” one might need to propel themselves into the new year and the next. We recommend bright colored hues due to their dramatic appeal and ability to draw the eye, thereby accentuating not only the area of effect in the finest ways, but also by brightening your day as well because honestly who wouldn’t and doesn’t love coming home to or being greeted by fresh flowers upon entering a room? Don’t miss out! Positive and forward changes can have everlasting effects and we hope you get to experience delightful and all the refreshing flowers and many other wonderful things that await you on in 2019! 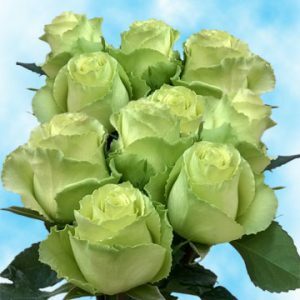 Green Roses mean “good luck” in the New Year! How to Make A Holiday Centerpiece! Crafting your very own Christmas centerpiece may seem like a daunting task, but it certainly doesn’t have to be that way. If you’re in need of a fresh and innovative idea GlobalRose is here to help with some easy steps you can follow along with so that your dining room table looks #AbsolutelyFestive this Christmas! First and foremost, select your color palette. This will dictate the entire feeling of the design. For the Christmas, go with the absolute classic red and green! You can also bring your arrangement to life by adding extra detail, little personal nuances such as sparkly gold-treated branches (which can be purchased at craft stores such as Hobby Lobby or Michael’s) or silvery mistletoe that can be wrapped along the stems of flowers for that extra little festive touch. We also highly recommend experimenting with warmer colored hues such as deep plum purples and resonating golden oranges. and moreover, simple pairings such as white and silver or white and gold are equally as impressive; both pair gracefully with greenery and pine detailing. That all being said, no Christmas centerpiece would be complete without some well chosen accessories! Whether you choose to go with real candles or electronic ones, there’s no denying their effect! They add a genuine warmness that is both elegant and gentle and if you’ve ever walked into a room lit with candles you’ll know exactly what we mean. The ambiance changes. Ornaments such as small Christmas tree bulbs and Christmas lights that compliment your desired color scheme are another great way to really dress up your arrangements for the holidays and to make use of any older or unused Christmas decorations. You may also consider beautiful Christmas ribbons to wrap around your vase, bells that jingle, pine cones, tree branches, or decorative fruit even. Let your imagination run wild and you might just surprise yourself with what you create! You can choose to spend a little more time on your vase if you wish for a particularly innovative display. An example of this, try lining the outside of a low square vase with candy canes for a sweet touch or a table that has the center lined with mason jars is another friendly idea that is a little more down to earth and kitschy if that suits your taste. Lastly, we strongly recommend heading over to Pinterest for a plethora of visual inspiration and be sure to check out our selection of Next Day Flowers for all your last minute Christmas floral needs! From everyone here at the GlobalRose Blog we’d like thank you all for reading! We wish you and yours a very merry Christmas and happy holidays! What Really Matters During the Holidays! With so much going on during the holidays sometimes its easy to miss out on the moments that make the Winter season truly so special. Lost in our obligations, the gifts, the lights, the food, and the festivities, we forget sometimes that the holidays are here for just a brief flicker of time, before the sun rises again on new year. If but for a moment, during this time we take a pause from our daily lives to soak in the essence of the season. We savor the richness, in hope to remain uncorrupted, it can prove hard to find the time to shut off all the “noise” and just spend time with your family. As for the aforementioned hustle and bustle or our holiday obligations, GlobalRose would love to help you stay calm this season because we know how daunting, if not even how time consuming decorating and gift giving can be. We have some recommendations that will help make the whole process simple and enjoyable. Try some of these holiday floral pieces we offer for an explosion of cheer that will warm the heart instantly. Our flowers are to be enjoyed by all and we guarantee you will notice the difference most instantly. Bursting combinations of delightful color speak to our very heart strings and make for merriment like no other! Embrace your natural roots this holiday! On the first day of Christmas, my true love gave to me…ok, it’s not always about numbers, but when it comes to flowers…you may want to factor that in. After all, there is wisdom behind, “the more the merrier”. Sweet blooms that explode into aromatic bliss. The hunger for beauty persists in our souls and in flowers we may find solace. Perhaps the Christmas season is one of the greatest of all to reflect upon this state of the human condition. Our holiday flowers make excellent decor around the house or at special events. Bring the warmth of the season to your heart and feel your being expand my the gentle sway of a petal’s command. Delicate and masterful, it is easy to get lost in floral splendor. How divine to be dipped in all this decadence that no words could quite justly capture. The mind soars to the greats of heights with a surrounding that is conducive to its freest expression. We have delight holiday offers that are sure to be pleasant surprise and invite you to take advantage. After all, this time only comes around once a year. Fall Fun and Flowery Beauty! Warm glowing colors that make your heart melt? That has to be the definition of Fall… or at least part of it. It is now that we begin to anticipate the holidays to come…especially on Thanksgiving. Holiday flowers play a huge role, of course, and our online flower selection is a prime contender since we carry a great abundance of options along with amazing deals. We hold ourselves with great pride for what we do. If you are looking to make a lasting impression, whether it be a sweet present or to glam up the vibe for a party venue, there is always the Perfect Flower for the occasion. Do not hesitate to be creative this season! If there is a creative bone that begs for attention, of course. Mix wonderful pine cones and scented paraphernalia in your table top displays to surround or blend with a simple Fall Flower Arrangement. We recommend a generous mix of colors within the same warm palette so that the eyes have a chance to be entertained by texture and shape. Also, a grand collection of a single flower also makes for quite the sight, as it suggests a grandness whilst in unity!